Want it by Wednesday 24th April? Order within 4 days, 20 hours, 21 minutes and choose Next Working Day - Kerbside Delivery (Order Must be Placed by 2pm) at checkout. 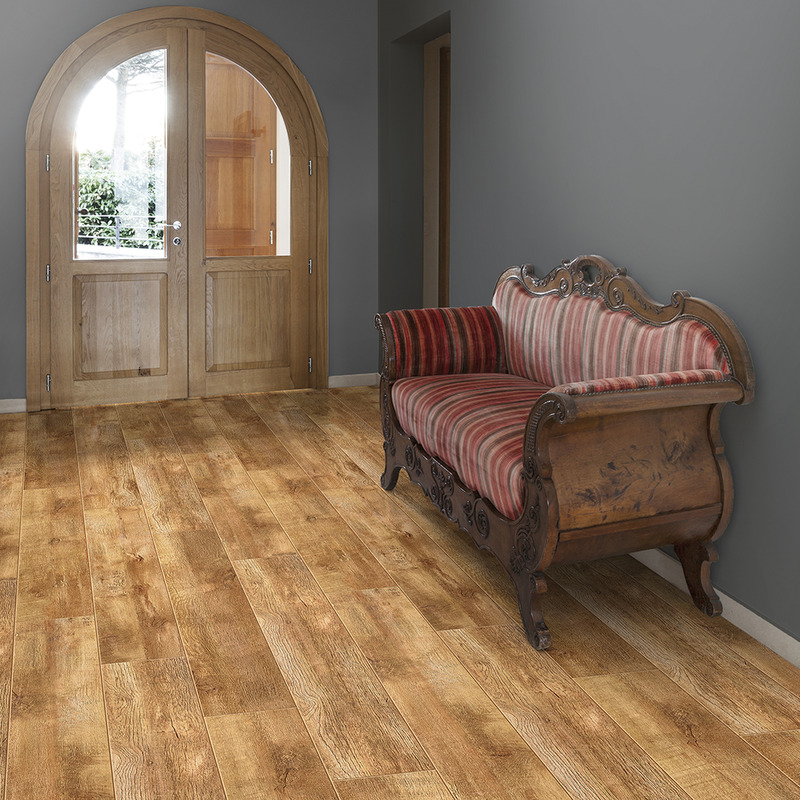 Balterio Tradition Sculpture Barn Oak 9mm Laminate Flooring V-Groove AC4 1.9218m2 9mm thick plank with a width of 190.5mm and 1261mm long. Each pack covers a total 1.9218 square metres. Laminate production has never been so advanced! Due to each board having hand scraped and true to touch technology, it is becoming even more difficult to distinguish between solid wood and a laminate. All 4 sides of the plank have a 4 v groove, giving a clarity and charisma. This floor is so fantastic you have to see it in your home! Request a sample and test it out! Love our floor?... Make it your floor! The product itself appears very good, durable and with a non-slip finish. The sample I received was again a good size with all the product information on a label on the back (not covering the front as some company's do). Arrived with a couple of days of ordering and well packaged.